Have you ever bitten on the sides of your cheeks as a nervous habit? You may start to feel a bit of tenderness or your cheek become raw. Within just a day or so, your sore will be healed! Have you ever wondered how a cut or sore in your mouth heals so quickly? Your dentist in Waco is here to explain your body’s amazing healing properties and discuss why your mouth recovers so quickly. Any other part of our body takes much longer to heal compared to oral tissues. But why? When you look at the rest of our body, skin tissue has several layers of reconstructing tissue for damaged areas. Because mucous tissue has a much simpler composition, it also has a faster, more “to the point” healing process rather than regenerating in layers. In addition to a simpler structure, the easy access to blood supply makes it easier to heal your mouth. Mucous tissue is highly vascular, meaning it’s very rich in blood vessels. Blood contains cells that are necessary for healing. The easy blood flow brings a lot of nutrients and oxygen to the damage site to catalyze the healing process and it’s constant. Besides that, your mouth is located on the head and close to the neck, which both have great access regular blood flow. A small protein found in saliva called “histatin” did more than scientists initially gave it credit for. Before, histatin was just thought to be an antibacterial agent that helps keep the mouth naturally clean. After a study was conducted in the Netherlands, researchers found that a wound created in a culture of cell growth healed in just about 16 hours. The culture without saliva remained damaged, leading us to believe that the proteins found in saliva helped the wound to heal much faster than its counterparts. 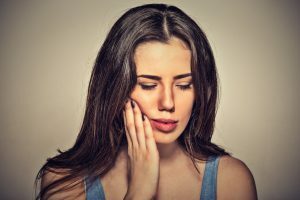 If your laceration is deeper than a normal small wound, it may be time to visit your emergency dentist or emergency room if you’re experiencing excessive bleeding. When you need advice for dental problems or generally have oral health questions, it’s best to reach out to a professional. Dr. Cofer has not only helped patients at Premier Family Dental with excellent oral health care services, but this is his second dental practice. Do you have questions about an injury to your lip, cheek, tongue, or teeth? Feel free to call our Waco office.